We provide Wi-Fi and we offer day trips to the desert, Meknes Volubilis, Middle Atlas Mountain, Chefchaouen, and transfers to/from the train station, bus station and airport . 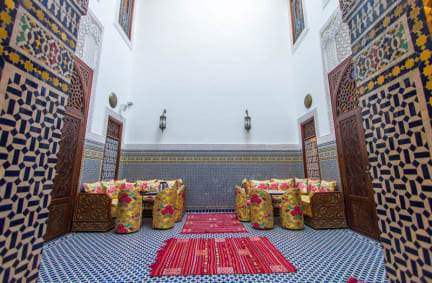 Dar Fes Tresor is located in the main area of Fes near the Medina gates Bab Ziat. 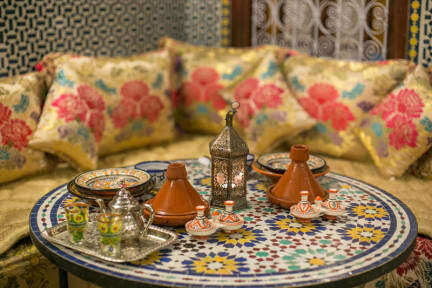 We are located in the most famous part of the medina, a fancy area where there most of the places, just a few minutes from the medina centre. Rooms are private with an ensuite bathroom, and comes with comfortable beds. Rooms feature air conditioning. Check out from 06:00 to 11:30.